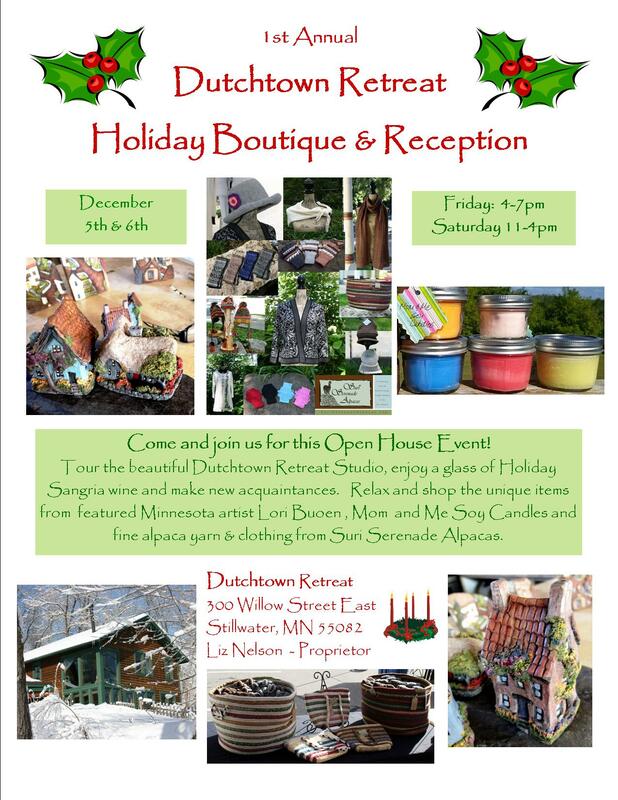 Check out the 1st annual Dutchtown Retreat Holiday Boutique and Reception in Stillwater, MN. Enjoy wine and handcrafted items! Get directions here. See picture for more information on dates/times. We are really excited to be part of this event! 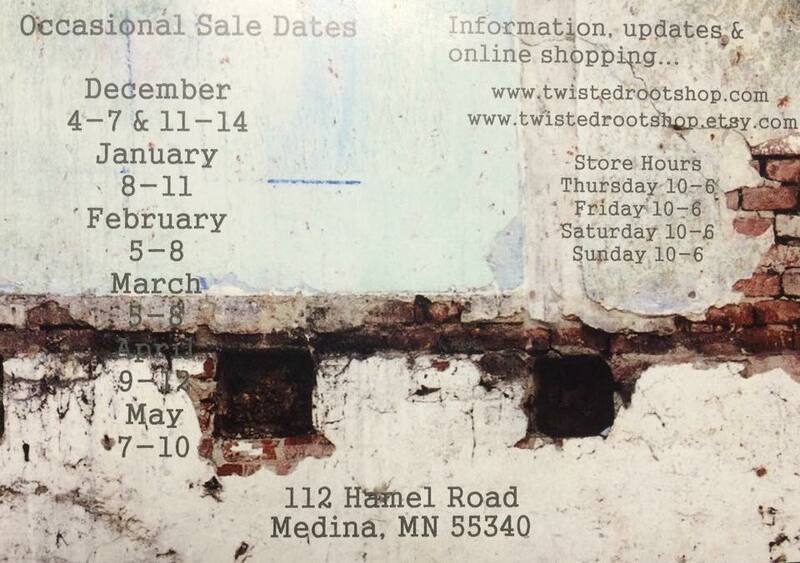 We are SUPER excited to be part of a new shop called Twisted Root opening THIS WEEKEND! This is a brand new Occasional shop in Medina, MN (near Plymouth). See picture for more information on dates/times. An official ‘new store’ announcement will be made later this week! And don’t forget about our other upcoming events this year! *Please note that we will only specifically be at the Cannon River Winery – Girl’s Day Away event. The other three shows our candles will be present, but due to the nature of the holiday show, we will not be there. Previous Previous post: National Candle Month – November!